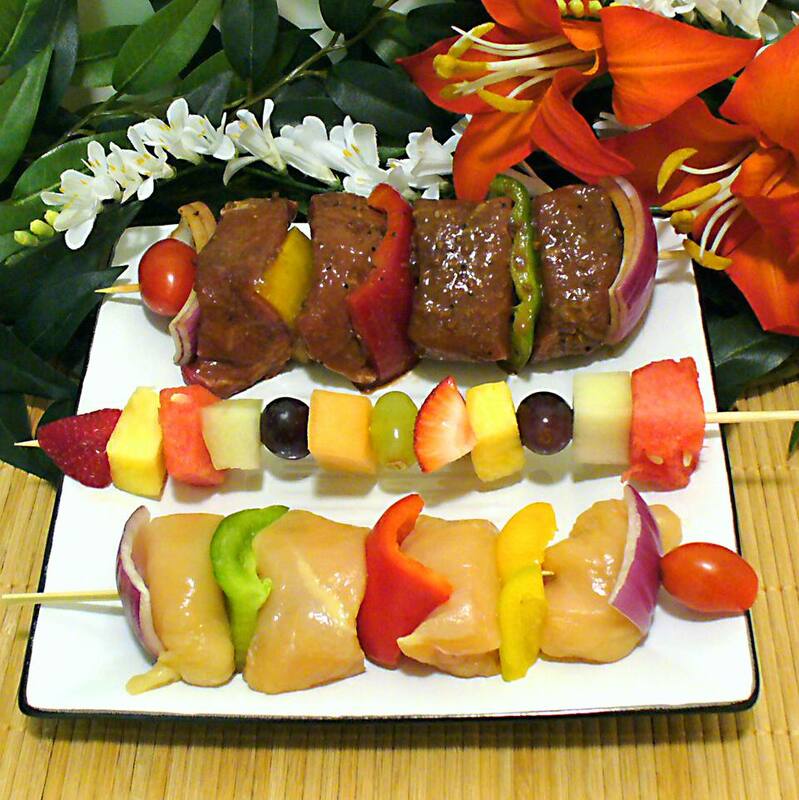 A shish kebab typically consists of meat and vegetables on a skewer and is usually grilled. It can contain lamb, beef, fish, or chicken as well as vegetables like green peppers, onions, and mushrooms. Sometimes shish kebabs feature only meat. A similar meat-only dish called chicken satay or sate is found in Thai, Indonesian, Singaporean, and Malaysian cuisines. The term shish kebab comes from the Turkish words şiş kebap that mean "skewer" and "roast meat," and shish kebab is a signature Turkish meal. Kebabs were a natural dietary solution for nomadic tribes in what's now Turkey. Unusual meats were marinated not only to tenderize them but also to get rid of some of the gamey flavor. In several Asian countries, there's satay or sate, which is roasted skewered meat, usually chicken served with a dipping sauce that's often made from peanuts. Japan has yakitori which is grilled skewered fowl. In France, shish kebabs are called brochettes, meaning "skewers." Portuguese espetadas are beef shish kebabs marinated in wine and roasted on an open fire. Lahm mishwy is the equivalent of shish kebab in Arabic. The meat of choice is usually lamb, and it is cooked over a fire on a skewer holder, so the meat never touches the grill itself. Shish kebabs have a history connected to war. It is said that Turkish soldiers used their swords to grill meat in open field fires during their invasion of Anatolia. This may not be the first use of cooking meat over an open fire, but it's how the name stuck. There's historical and artistic evidence that the Greeks of the Byzantine era cooked shish kebabs. Homer’s Odyssey mentions them as well. Meats used in shish kebabs are usually marinated prior to cooking. A basic marinade might consist of only olive oil, lemon juice, and onions, while a more complex one would include marjoram, crumbled bay leaves, cinnamon, allspice, and other spices. The color added by the vegetables, such as tomatoes, onion wedges, and green bell peppers, that are used to separate the pieces of meat helps make kebabs more visually appealing. No matter what kind of kebab you make, cooking your food on a skewer is a fun and fast way to put together a tasty meal.